Have you ever been told fish oil is great for your health? Of course you have. If you’re a patient of mine I’ve probably told you that in the past. And fish oil is a very popular supplement in alternative health circles. The reason fish oils remain so popular is because research shows they’re great at improving your health. Today I’m going to let you in on a not so secret, secret, about fish oil. Because fish oil is so popular, many people believe it’s the fish oil itself that helps improve our health. Makes sense. If someone says to you, “Oh, take fish oil because it’ll help you feel better” you may think it’s the fish oil that’s doing all the work. It’s not the fish oil itself that modulates your health, it’s actually the essential fatty acids inside the fish oil that help to change your health. 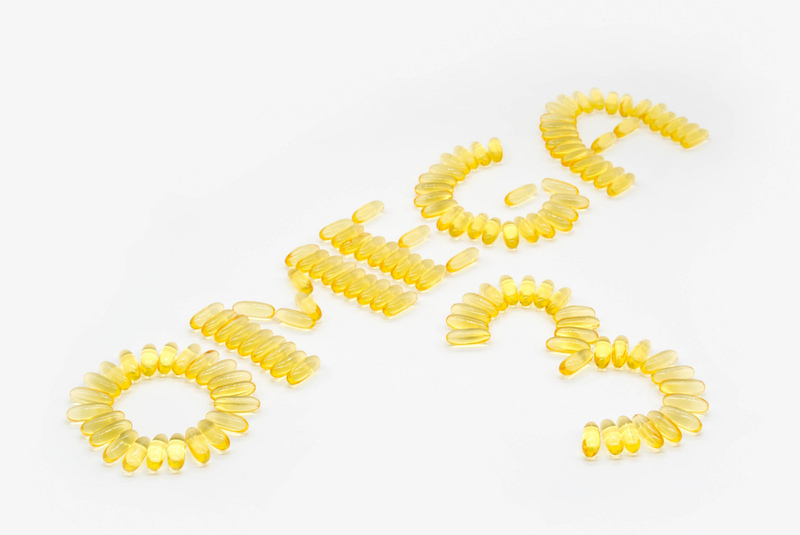 The primary fatty acids found in fish oil are called Omega-3 fatty acids. And the two primary Omega-3 fatty acids most of us in the health world focus on are Docosahexaenoic Acid (DHA) and Eicosapentaenoic Acid (EPA). These two fatty acids are polyunsaturated fatty acids (PUFAs). PUFAs are long chain fatty acids with a rich molecular structure that assimilates into our body’s cells and helps them perform essential functions. Without DHA and EPA in your body, you cannot function at full capacity. This is a biological fact and it’s also why DHA and EPA are commonly called EFAs – or Essential Fatty Acids. Because most Americans’ diets have shifted away from omega-3 rich foods, many people are in a state of omega-3 deficiency. Harvard estimates omega-3 deficiency is involved in close to 100,000 deaths yearly in the U.S. alone. The good news about omega-3 is they’re not hard to find. Any decent grocery store will have loads of omega-3s available for you to enjoy. Plus, the requirements of omega-3 ingestion isn’t all that high. You only need a few grams a day in order to reverse a deficiency and maintain healthy levels. Before I show you my preferred source of omega-3 fatty acids (no, it’s not from fish), I want to show you how omega-3s can improve your health. An out of control immune response is costly from a biological standpoint. Here’s what Clearly Healthy Nutrition writes about out of control immune responses. “While your immune system is essential for keeping you well, if your body ever develops an “out of control” immune response this could easily cause a host of other health concerns. For instance, after you’re injured (or when you get sick) your body mobilizes your immune system to help heal you. This is something that’s normal and beneficial for your health. However, if your body is subjected to chronic illness (or a persistent but undiagnosed health issue) – or if it’s exposed to toxins and/or pollution – this may lead to an “out of control” immune response. Omega-3 fatty acids help to prevent out of control immune responses from harming your health. Both DHA and EPA have antioxidant activity which helps to protect your body from the harm of an out of control immune response. The Journal of American College Of Nutrition wrote that omega-3 fatty acids have the power to help control out of control immune responses in such a way that they could help replace many of the conventional treatments typically offered by doctors and hospitals. In the past few years I’ve written extensively about how healthy fats are essential for maintaining healthy weight levels. If you want to maintain a healthy weight then ensuring you’re getting omega-3s in your diet is essential. Recent studies show omega-3 supplementation combined with light exercise is an effective way to help maintain healthy weight levels. Recent studies by the Journal of Nutrition and The International Journal of Obesity demonstrate omega-3s in your diet lead to improvements in body composition. These studies were supported by studies from the Journal of American Nutrition; where researchers concluded omega-3 supplementation combined with aerobic exercise has a distinct effect on weight loss. These studies confirm what I’ve been saying for a long time. Exercise can definitely help with weight loss, but if you really want to lose weight it’s important your diet is full of healthy fats. Remember, abs are made in the kitchen. Most of my patients are familiar with the correlation between fish oil (omega-3s) and improved heart health. One of the main ways omega-3s help to keep your heart healthy is by improving cholesterol levels. “Australian researchers published results of a study examining the effects of fish oil on weight loss in combination with diet and exercise in the May 2007 issue of American Journal of Clinical Nutrition. They can keep blood flowing smoothly by preventing platelet aggregation. They can help to keep your heartbeat from becoming abnormal. Omega-3s may help improve arterial health for better blood pressure. For years we’ve offered several different brands of omega-3 in our office’s store. My team and I decided to create our own omega-3 supplement. We wanted to give our patients a high-strength omega-3 supplement at a reduced cost…and, we added a lemon flavor to our soft gel to help our patients avoid having to deal with annoying “fish burps”. I’m confident it is the best fish oil supplement available (get yours here). It’s 100% Non-GMO and it’s sourced from premium wild caught and sustainable Icelandic fish sources. It’s also an incredible value. Get yours here or by clicking the image below.